Hey kids! Do you love rhymes for babies about buses? Today you meet three pretty buses colored red, yellow, and green.They like travelling with fun! 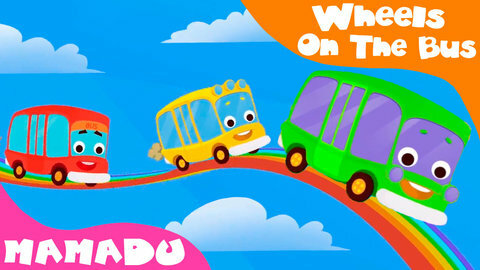 Fasten your belts and enjoy your ride with amazing rhyme for babies "The Wheels On The Bus" and music cartoon for kids!